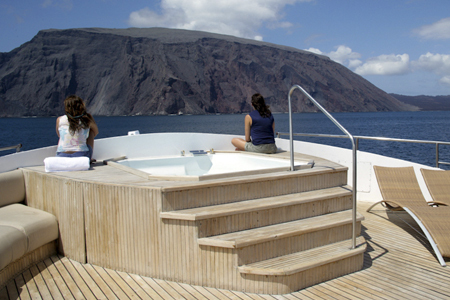 Integrity Luxury Galapagos Cruise is one of the most exclusive Galapagos yachts and the only small yacht to offer a truly luxurious experience. 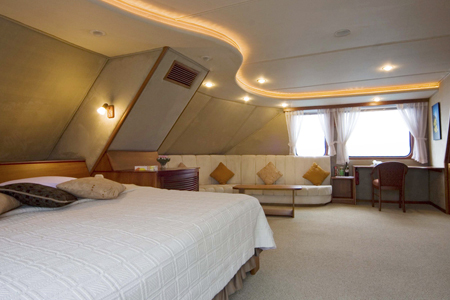 Each stateroom and suite sleeps two in comfort with simple, tasteful decorations and large windows that offer great views. 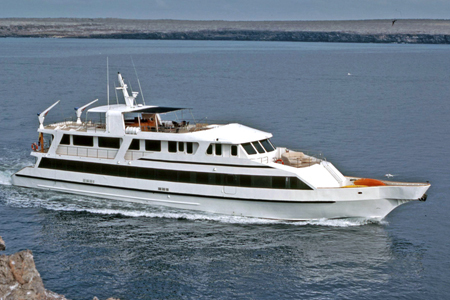 Rooms are outfitted with a stocked mini-fridge, an entertainment center with an LCD monitor that doubles as a music center, where you can review videos, pictures or watch a DVD from the yacht’s library. The en-suite bathrooms have a full-sized shower and storage cabinet. 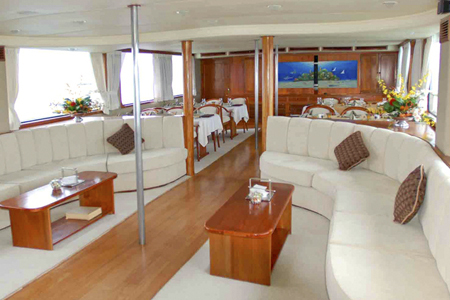 On the upper deck there is the dining room that serves a daily breakfast buffet and a variety of tasty meals, as well as a bar, an alfresco barbeque area for dining, a lounge for sunbathing and a Jacuzzi.